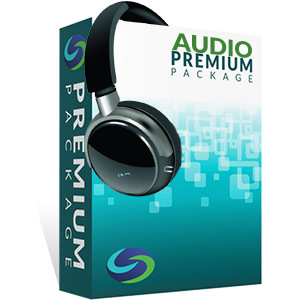 The Series 50 Audio Premium Study Package comes with Solomon's bestselling Exam Study Guide, Audiobook and industry-leading Online Exam Simulator to facilitate learning and knowledge retention. Studies show that learning followed by practice testing is the most successful study method (“Retrieval Practice Produces More Learning than Elaborative Studying with Concept Mapping” by Jeffrey D. Karpicke and Janell R. Blunt, January 2011). Online digital manual/not downloadable. Requires Internet connection. Upgrade to hard copy available. MP3 download & online streaming. This package also includes daily updates to the Online Exam Simulator question bank, up to fifteen (15) "Ask the Professor" e-mail questions, and a customizable study schedule with study tips. Administrative access is also available for managers to monitor their candidates' progress! Please see individual product pages for more details. What does a Series 50 license allow me to do? As a licensed municipal advisor, you may provide advice about municipal financial products to, or on behalf of, municipal entities. That means you will be able to help municipalities through the process of issuing securities and advise them on how to invest their proceeds. How do I enroll in the Series 50 exam? Broker-dealer municipal advisors can open an exam window for an associated person through Form U4. Once the exam window has been opened, the test can be scheduled through Pearson VUE or Prometric. How long should I prepare for this exam? We recommend studying 60 hours over a four-week period. There are 100 scored questions and 10 unscored questions on the exam. What subjects does the Series 50 exam test? Candidates receive a short tutorial providing details of the examination administration prior to initiating the test. Including the 30 minutes permitted for the tutorial, candidates are allowed three and one-half hours to finish the Series 50 examination. What score do I need to pass the exam? The passing score for the Series 50 exam is 71%. Are there other exams I need to complete as a prerequisite to attempting the Series 50? If I stop working for my firm, how long will my Series 50 license remain active? You will have two years between jobs before the license expires. When you cease working for a firm, your employer will file a Form U5 to terminate your registration. Your next employer will file a Form U4, which will re-register you. As long as you do not exceed two years between employers, your Series 50 license will remain active. Orders are processed Monday-Friday from 7:00 a.m.-4:00 p.m. Pacific Time. Same-day shipping is not guaranteed on orders placed after 12:00 p.m. Pacific Time or any order placed on Saturdays, Sundays or holidays. Orders placed during these times will be shipped the next business day. Shipped products including Study Guides and Audiobooks - Any item that is shipped will be considered received once it has been removed from its paper wrapping. Exam Simulators, Video Lectures/On-Demand Classes, and audiobooks (MP3 Streaming + Download) - These products are considered received if an individual has activated the product, logged in for more than 15 minutes, and/or has logged in more than once. Live Online Classes- Classes are considered received once an individual has logged into a session even if they do not participate in the duration of the lesson(s). Shipping and Handling is nonrefundable under any circumstances. Solomon Exam Prep is not responsible for any Shipping and Handling costs required to return any merchandise. All shipped products must be returned in original condition. All returns will be subject to a $10 processing fee. If returned merchandise meets all of the above requirements, a credit will be added to the credit card used at the time of purchase. The refunded amount will be the amount paid for the product at the time of purchase less the $10 processing fee and will not include any shipping and handling fees. If returned merchandise does not meet all of the above requirements, no refunds will be awarded. All products purchased from Solomon Exam Prep either online or by phone are subject to this return policy. If you have any questions about this policy please contact us by phone at 503-601-0212 or email at info@solomonexamprep.com. One-time, 5 day extension at no extra charge. One-time, 30 day extension for 25% of Online Exam Simulator cost, granted upon receipt of payment. Extensions required due to extenuating circumstances are given consideration if Solomon Exam Prep is contacted within 3 months of the expiration date of the Online Exam Simulator. To request an extension, please contact Solomon Exam Prep at 503-601-0212 or email at support@solomonexamprep.com. Solomon Exam Prep study materials are legally protected under the copyright laws of the United States and other countries. Unauthorized use or reproduction of Solomon Exam Prep materials copyrighted by Solomon Exam Prep is prohibited. The Solomon Exam Prep materials you have purchased are to be used for your personal use. Unauthorized resale of Solomon Exam Prep materials is prohibited. Shared use of online exam study guides, online classes, online exam simulators, streamed or downloaded audiobooks (Products & Services) is prohibited. Solomon Exam Prep will only support registered purchases of Products & Services directly from Solomon Exam Prep or from an authorized distributor. Solomon Exam Prep’s Products & Services are intended for personal use only unless specifically approved in writing by Solomon Exam Prep. Products & Services are provided by Solomon Exam Prep, subject to your acceptance and compliance with the Terms & Conditions set forth below. Sharing or selling access to Products & Service is prohibited. All online access of Products & Services is non-transferable. By accessing or using Products & Services, you agree to be bound by the Terms & Conditions set forth below. Solomon Exam Prep may modify these Terms & Conditions at any time and such modifications shall be effective immediately upon posting of the modified Terms & Conditions to SolomonExamPrep.com. Your continued access or use of Products & Services shall be deemed your conclusive acceptance of modified Terms & Conditions. 1. Copyright and Licenses. The entire contents of www.solomonexamprep.com Solomon Exam Prep and its Products & Services are copyrighted under the copyright laws of the United States. Products & Services are solely for non-commercial use. Copying, redistribution, retransmission or publication of any downloaded, recorded or online material, is prohibited without the written permission of Solomon Exam Prep. You agree not to change or delete any proprietary notices from materials downloaded from Solomon Exam Prep. You agree that you shall have no recourse against Solomon Exam Prep for any alleged or actual infringement or misappropriation of any proprietary right in your communications to us. 2. Use of Products & Services via www.solomonexamprep.com. You understand that Solomon Exam Prep does not warrant that Products & Services will be uninterrupted or error-free. Products & Services are provided on an as is, “as available" basis. You are responsible for your own system and agree to meet the minimum system requirements set forth by Solomon Exam Prep. You understand that Solomon Exam Prep may revise the content of its website and Products & Services from time to time to meet business objectives. Solomon Exam Prep may add or remove materials that it considers as unnecessary or no longer relevant for its training objectives. Once content is removed, it will not be accessible and will not be available upon request. You understand that Products & Services are intended to assist you in your study program. You accept this arrangement and understand that Products & Services will be updated and released in a manner consistent with the priorities and objectives of Solomon Exam Prep. You understand that your purchase of Solomon Exam Prep Products & Services offers a limited license to use the content only between the time access is granted for your product and the date you pass your exam or 180 days, whichever comes first. The Products & Services are non-transferable and are to be used only by you. You agree not to share proprietary, online usernames and password with anyone, even if someone has his or her own Products & Services. Such sharing of access, usernames and passwords is a violation of this Terms & Conditions and will result in immediate suspension of your privileges to any Products & Services at www.solomonexamprep.com without refund. Solomon Exam Prep monitors its website and including the use of Products & Services, and enforces its one subscriber policy diligently. Solomon Exam Prep may offer customized information about your study performance utilizing the Products & Services. This information may be offered to assist you in your preparation for an exam and is not intended to be an estimate or prediction of your actual exam score. Custom feedback from Solomon is intended only as a diagnostic tool of your knowledge as you prepare for the exam, and your practice scores may be affected by factors beyond Solomon Exam Prep’s control. In no event will Solomon Exam Prep be liable for (I) any incidental, consequential, or indirect damages (including, but not limited to, damages for loss of profits, business interruption, loss of programs or information, and the like) arising out of the use of or inability to use Products & Services provided by Solomon Exam Prep, or any information, or transactions provided on www.solomonexamprep.com or downloaded or hyperlinked from www.solomonexamprep.com even if Solomon Exam Prep or its authorized representatives have been advised of the possibility of such damages; or (II) any claim attributable to errors, omissions, or other inaccuracies in Solomon Exam Prep's electronic content, Products & Services or information downloaded through, or hyperlinked from, www.solomonexamprep.com. Because some states do not allow the exclusion or limitation of liability for consequential or incidental damages, the above limitation may not apply to you. In such states, Solomon Exam Prep’s liability is limited to the greatest extent permitted by law. 3. Indemnification. You agree to indemnify, defend, and hold harmless Solomon Exam Prep; Firstbooks.com, Inc. and their respective subsidiaries, officers, directors, employees, authors, agents, licensors, suppliers, and any third party information providers to Solomon Exam Prep’s Products & Services from and against all losses, expenses, damages, and costs, including attorneys' fees, resulting from any violation of these Terms & Conditions by you. 4. Miscellaneous. This Terms & Conditions shall be governed and construed in accordance with the laws of the State of Oregon applicable to Terms & Conditions made and to be performed in Oregon. You agree that any legal action or proceeding between Solomon Exam Prep and you for any purpose concerning this Terms & Conditions or the parties' obligations hereunder shall be brought exclusively in a federal or state court of competent jurisdiction sitting in Oregon. Any cause of action or claim you may have with respect to Solomon Exam Prep’s Products & Services must be commenced within six months (6 months) after the claim or cause of action arises or such claim or cause of action is barred. Solomon Exam Prep’s failure to insist upon or enforce strict performance of any provision of this Terms & Conditions shall not be construed as a waiver of any provision or right. Neither the course of conduct between the parties nor trade practice shall act to modify any provision of this Terms & Conditions. Solomon Exam Prep may assign its rights and duties under this Terms & Conditions to any party at any time without notice to you. Terms & Conditions are subject to change without notice, please review periodically. I passed the Series 63 with an 86. Your system rocks!!! After trying numerous study materials, Solomon was the key to pass my Series 24. The live class was a perfect complement. Thank you Karen for your assistance!